I’m Cookie, a NJ Balloon Twister, Face Painter, Body Painter and Balloon Artist. 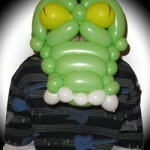 Available for your balloon twisting, face painting, balloon decorating & even clowning needs. I’m based in Morris County & work all over New Jersey (NJ). 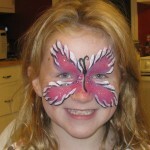 Click around to see samples of my face painting, balloon twisting, & balloon decorating. NOTE: When I do party entertainment, I can come as a clown or not – it’s your choice! Listen To Some Of My Happy Customers…. The kids loved it and the parents were all asking for her business card. We had Cookie for faces & balloons and what she did blew us away. In a word – – SPECTACULAR! I can’t believe how incredible the balloon sculptures were! We would highly recommend ‘Cookie’ to others. The balloons were great, but it’s her personality and friendliness we loved! She was great!! I would recommend her to anyone. Everyone thought your balloons were awesome! Thanks so much for helping make our Family Fun Day a success!